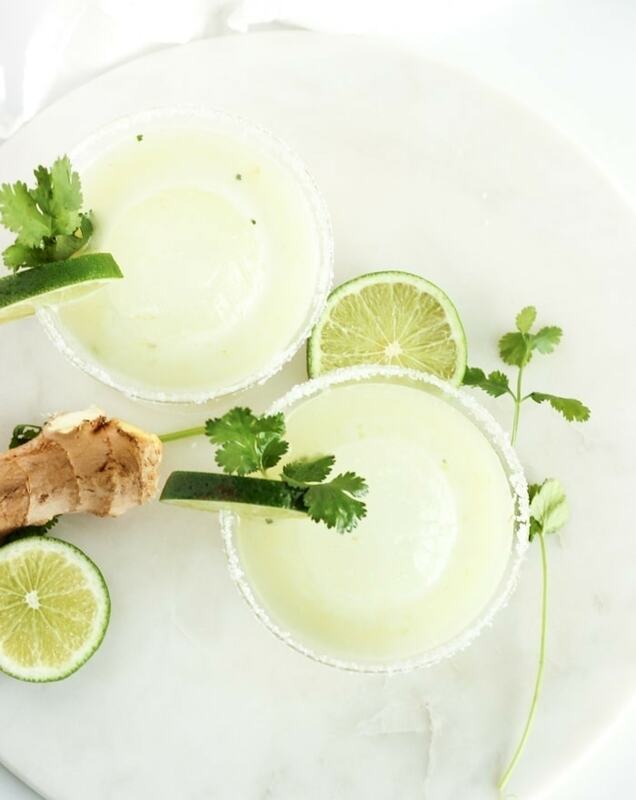 With a hint of Thai flavor, refreshing Lemongrass Cilantro Margaritas are a fun twist on margaritas to celebrate Cinco de Mayo or any occasion! 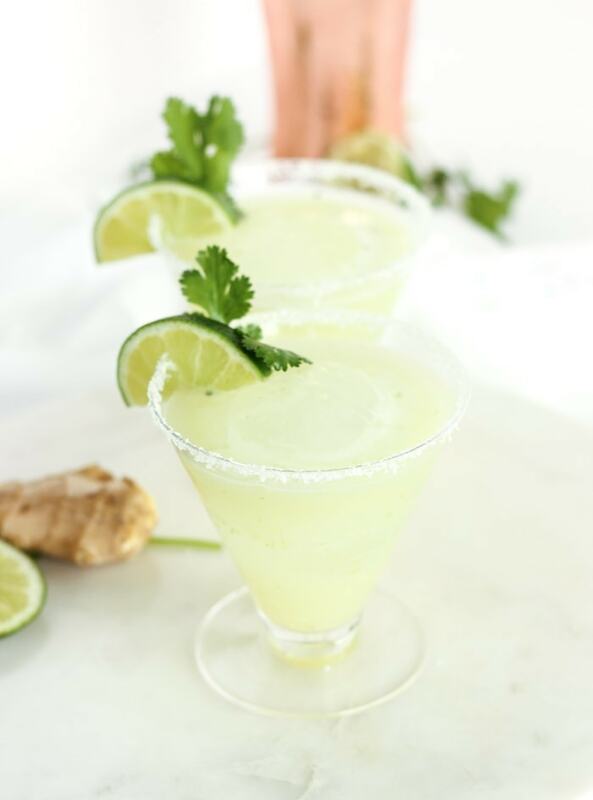 These lemongrass cilantro margaritas kick off the countdown to one of my favorite holidays, Cinco de Mayo! Growing up in Texas surrounded by Tex-Mex and Mexican food had a huge influence on the way I cook and eat. No gathering with my dad’s side of the family was ever complete without homemade salsa, a pot of charro beans, and fresh margaritas. I grew up learning to make guacamole, Mexican rice, and tacos from a young age. Needless to say, I love Tex-Mex and will never pass up an opportunity to celebrate with as much of it as I can cram into one day! Which, naturally, means I’m going to share ALL of the Cinco de Mayo food with you for a week straight. You’re welcome. If you’ve hung around me for a while, you know that I’m very picky about my margaritas. While I like to stick to a classic margarita most of the time, sometimes a change-up is fun. 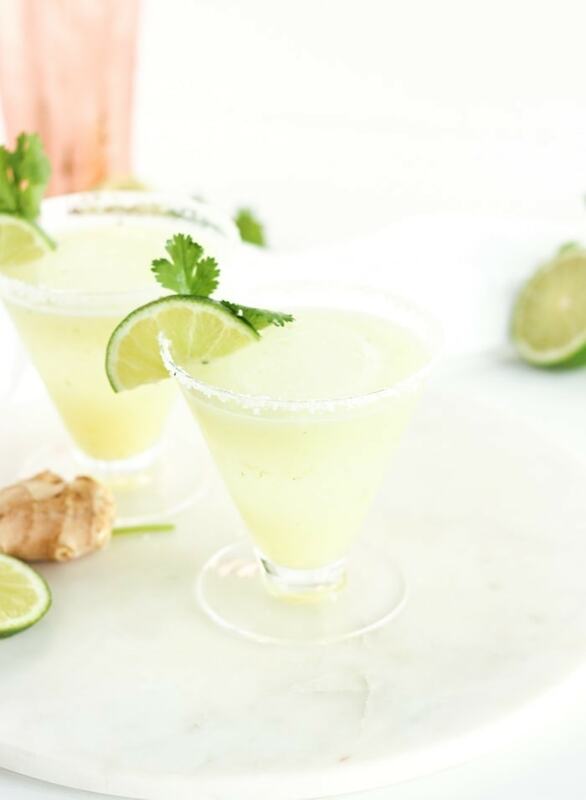 These Lemongrass Cilantro Margaritas are inspired by a lemongrass margarita I had at a Thai restaurant in Dallas. It was so fresh and flavorful without being too sweet. After one sip, I was in love. I knew I had to make it at home. 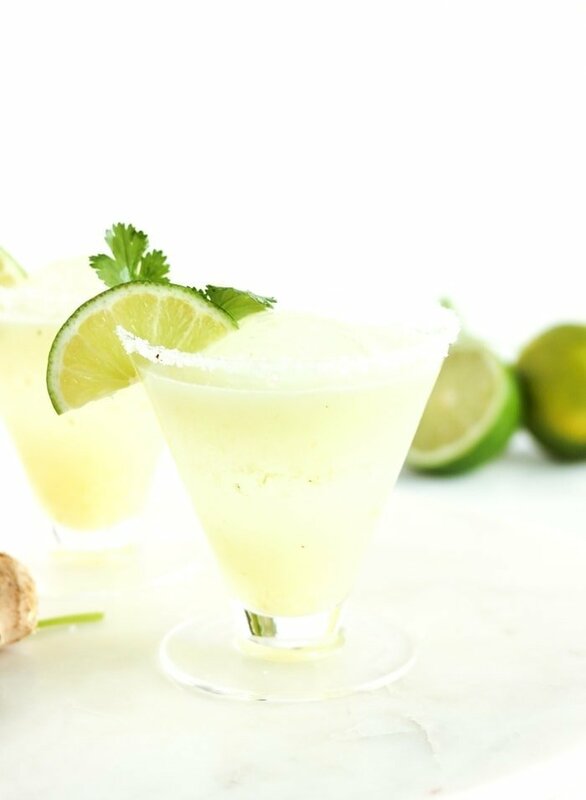 I added a little cilantro to cut the sweet notes just a bit more, and I love the resulting margarita. 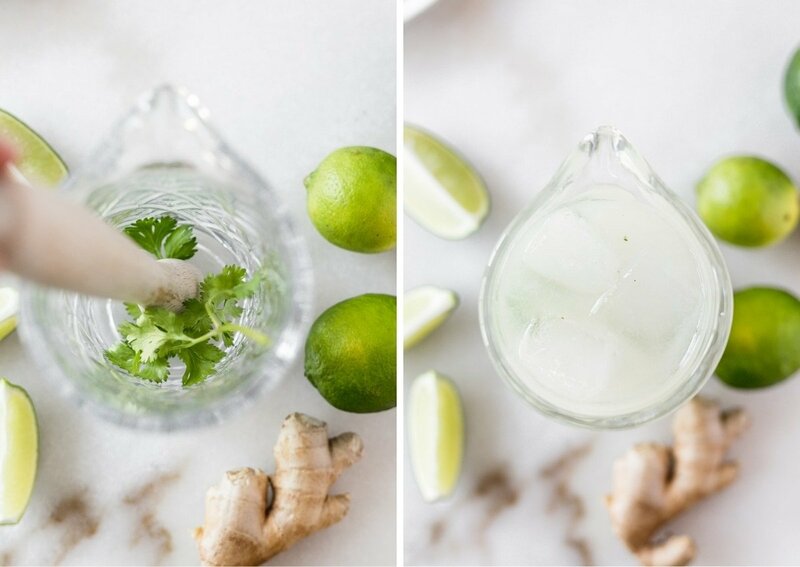 It’s bursting with ginger and lemongrass flavor with just a hint of cilantro, and of course, lots of fresh lime. 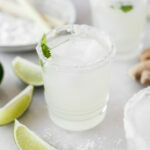 It’s the perfect margarita to accompany spicy salsa or tacos for your Cinco de Mayo celebration! Be sure to check back up until May 5 for lots more Tex-Mex inspiration! For even more ideas, follow my Taco Tuesday board on Pinterest. For those of you not from Texas, do you celebrate Cinco de Mayo? I’d love to know in the comments below! On a small plate, mix equal parts kosher salt and sugar with a touch of grated ginger. Rub lime wedge around the rims of two glasses and dip in salt mixture. Fill with ice and set aside. 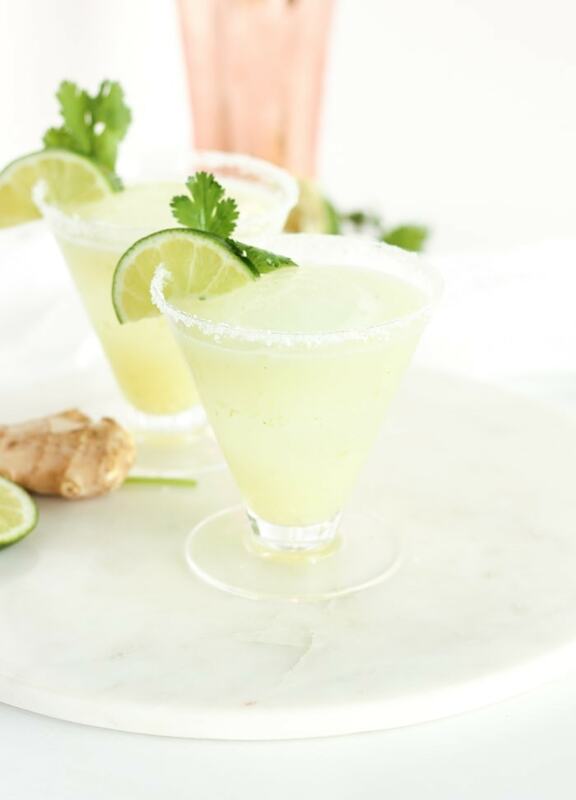 Add cilantro, ginger, lemongrass, agave, lime juice, Cointreau and tequila to a shaker with ice. Shake vigorously and strain into glasses. 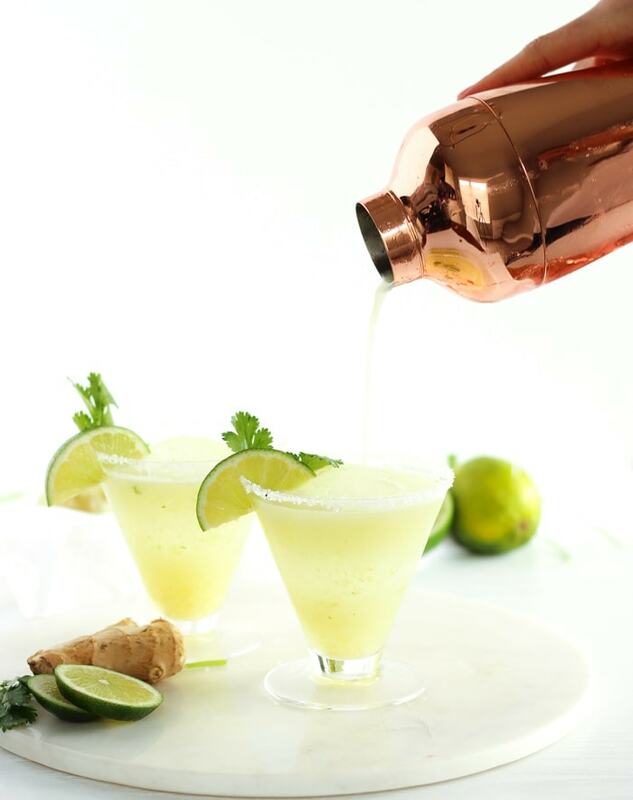 Garnish with lime and cilantro. Love this flavor combo!! And love cinco de mayo. I’m actually hosting a dinner party next weekend and going to do a cinco de mayo theme!